Prey Hands-On Preview - A Winner in the Making? 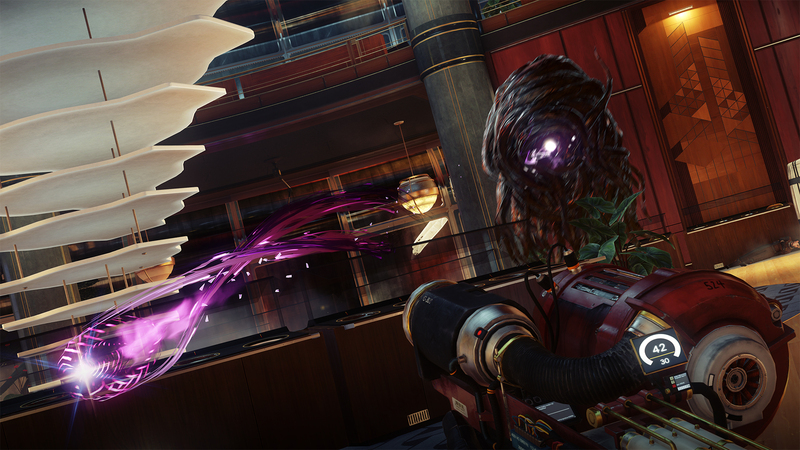 Prey Hands-On Preview – A Winner in the Making? This year has been amazing in terms of potential ‘Game of the year’ contenders so far: Resident Evil 7, Horizon: Zero Dawn and The Legend of Zelda: Breath of the Wild, just to name a few. We aren’t even halfway into the year and already we may be seeing another addition to that list. Prey, not to be confused with Prey 2 by Human Head Studios (a game that no longer exists), is a first-person sci-fi action game created by the developers behind the Dishonored series. 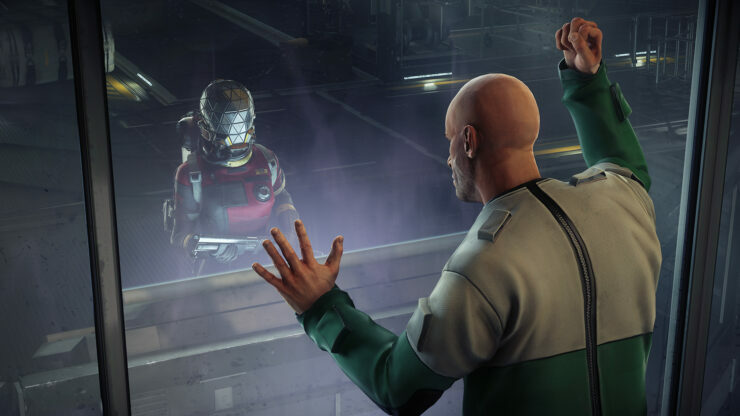 Players take on the role of Morgan Yu, a scientist aboard the Talos I space station who has been enhanced with alien abilities. 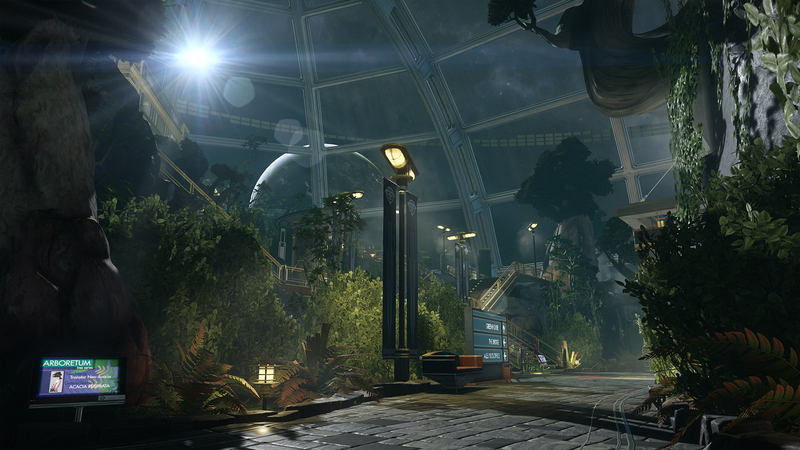 As Morgan, players must fight against the alien infestation on Talos I and try to escape in one piece. Prey’s first-hour segment ends with Morgan Yu finding out his memories for the last three years have been permanently erased. His brother, Alex Yu, is supposedly behind all of this, however, Alex interrupts Morgan’s video feed before he can find out more information. This next hour of content focused more on the gameplay than the story, so if you want to avoid story spoilers you are in luck. I started Prey in the middle of a mission, equipped with a number of weapons and powers. My goal was to access the G.U.T.S (Gravity Utility Tunnel System), a series of maintenance tunnels that run through Talos 1, in order to find a data processing facility. 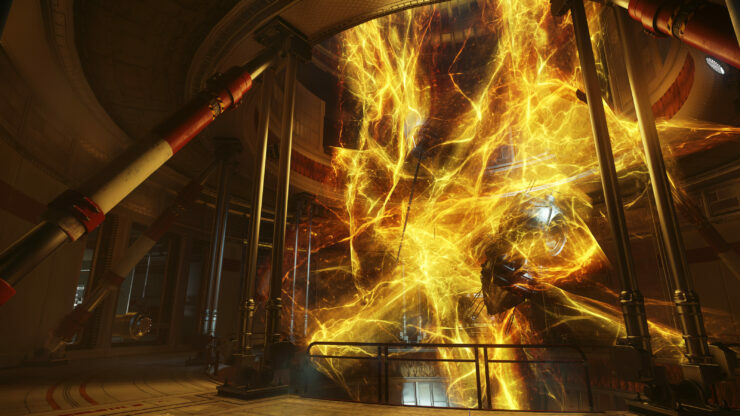 First I needed to head towards the Psychotronics Lab, however gaining access to the lab requires the use of a Psychoscope. Upon obtaining the Psychoscope, you gain the ability to measure the brain activity of alien organisms. This allows you to scan aliens, unlocking brand new abilities. Speaking of abilities, I was able to try out Morgan’s powers in this build of the game. Morgan can learn both Human and Alien abilities. The Human powers seem useful, but they aren’t anywhere near as fun as the Alien powers. You could put some of your Neuromods into the Scientist skill tree, unlocking the ability to bypass security measures. While this is practical in the game, you may find it more useful to put your Neuromods down the Energy skill tree. Going down this path will give you access to a powerful Kinetic Blast. You always have the option of mixing and matching between both sets of powers in case you want the best of both worlds. It didn’t take long before I had accessed the G.U.T.S, making my way through the strange tunnel system before finding a dead end. The point of this playthrough wasn’t to complete the main story, it was to see all of the optional missions available. Exploring Talos I reveals a lot about the scientists who were on board the space station. I stumbled upon the room of one particularly paranoid scientist who had labeled every object in his lab with a post-it note. Each note read: “Not a mimic!”. As I collected each of these notes to later use in the Recycler machine (you’ll use this to turn junk objects into materials), I noticed that there actually was a mimic in the room… that scientist was obviously on to something. The most interesting part of this play session came from an interaction with a man named V-090655-13 (at least that’s what the computer stated his name was). The man was trapped in a containment chamber labeled ‘Material Extraction’. It seems as though the scientists at Talos I contained criminals like V-090655-13 to test how the Typhon species would react to humans. Attached to the containment chamber was a computer that showed V-090655-13’s criminal history, as well as perform the Mimic Multiplication experiment. There was also a third option which the man seemed to be aware of: the option to open the door and let him live. Viewing V-090655-13’s criminal record allowed you to see what he was put away for: human trafficking, kidnapping and solicitation of a minor just to name a few. The man pleaded for his life, telling me his name and even offered to give him the security code to the nearby armory. After reading Aaron Ingram’s criminal record, I had made the decision to perform the experiment, killing him instantly. Shortly after this interaction, I was contacted by January who sounded extremely disappointed. January explained that the Typhon species can only kill and destroy whereas humans at least have the option. Alex contacted me straight after January, expressing his delight in my decision to gain more abilities. So, what did I receive for taking the life of Aaron Ingram? The ability to camouflage by taking the form of a nearby object. Was it worth it? Of course it was. Spot a Phantom heading towards your direction? Transform into an unsuspecting mug in order to bypass your enemies! Sure, I lost the ability to access the armory using the key code, but nothing stopped me from opening the door using my toy crossbow. Yes, being evil in this scenario allows you to have your cake and eat it too. The alien abilities all appear to be incredibly powerful, forcing the player into a tough spot. Do you succumb to the draw of the alien powers, slowly becoming less human each time you grow more powerful? Prey has multiple endings, so there is a chance your decisions may come back to haunt you. During the first hour of Prey, I felt as though I was playing a spiritual successor to BioShock. As I progressed through Prey, I started to realize that this would not be the linear experience I had originally expected. While sharing some elements from BioShock, this second playthrough has shown me where the System Shock influence kicks in. Prey is far more open than it first leads you to believe. It’s not long before you are choosing between which Neuromod (a device that gives you access to new abilities) suits your style of play, or having to make careful decisions as to what you keep in your grid-style inventory. You have so many different options when choosing what to do next; it’s these options that make Prey so intriguing. Prey’s performance on the PCs Bethesda had set up seemed great… for the most part. There was one point where the frame rate seemed to drop completely. The game went from a constant 60FPS to having random dips despite nothing going on. I spoke to another writer after the event and they confirmed the same thing happened to them. The machines we used at this event were using AMD GPUs, by the way. After playing Prey back in February, I stated that Prey has the potential to become one of the best first-person shooters of all time. Playing through this gameplay driven segment has only strengthened my beliefs about this game. If Prey can maintain this level of quality throughout the course of the game, Arkane Studios will surely be on to a winner. Prey is set to release on May 5th for PC, PlayStation 4 and Xbox One. Yesterday, Bethesda announced that a free demo will be available for PlayStation 4 and Xbox One on April 27th, allowing players to delve into the first hour of the game.